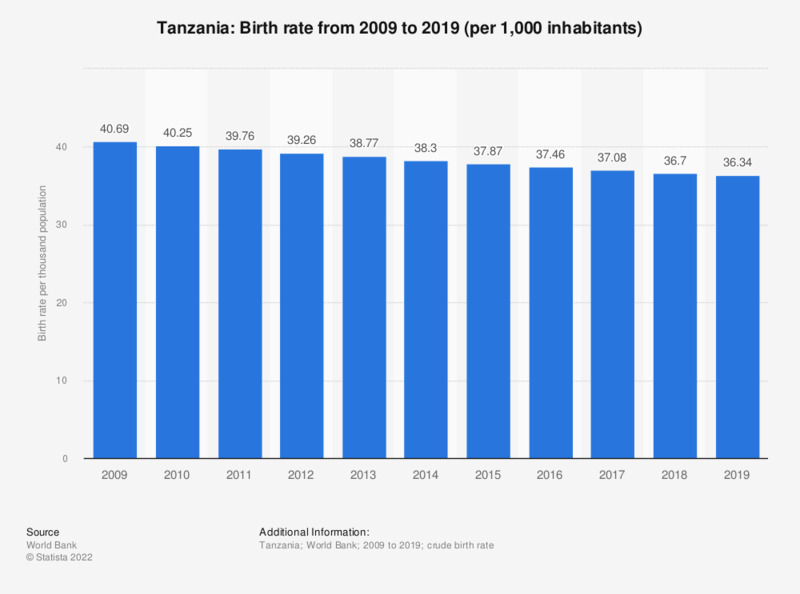 This statistic depicts the crude birth rate in Tanzania from 2006 to 2016. According to the source, the "crude birth rate indicates the number of live births occurring during the year, per 1,000 population estimated at midyear." In 2016, the crude birth rate in Tanzania amounted to 38.19 live births per 1,000 inhabitants.